As the Emperor travels the galaxy at the head of his Great Crusade, few events are as important as rediscovering his scattered sons, the Primarchs, and bestowing them as the masters of their Legions. United, a Legion becomes a reflection of its Primarch, both in his strengths and his flaws. For the Twelfth Legion, once the War Hounds and now the World Eaters, the line between strength and flaw is almost impossible to separate. Desperate for his acknowledgement, will the World Eaters follow their father and cast themselves in his broken image or will they resist? And will any of them ever learn who their father was truly meant to be? 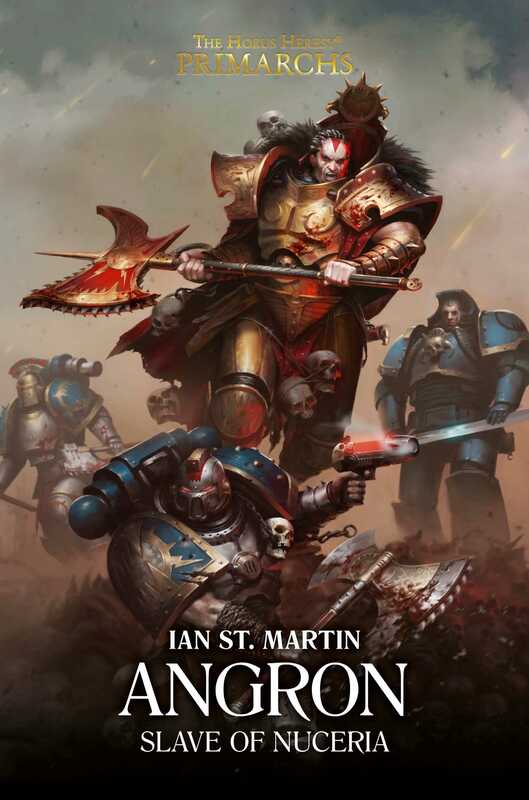 Ian St. Martin is the author of the Horus Heresy: Primarchs audio drama Konrad Curze: A Lesson in Darkness. He has also written the Warhammer 40,000 novels Lucius: The Faultless Blade and Deathwatch: Kryptman’s War, along with the short stories ‘Adeptus Titanicus: Hunting Ground’, ‘City of Ruin’ and ‘In Wolves’ Clothing’. He lives and works in Washington DC, caring for his cat and reading anything within reach.